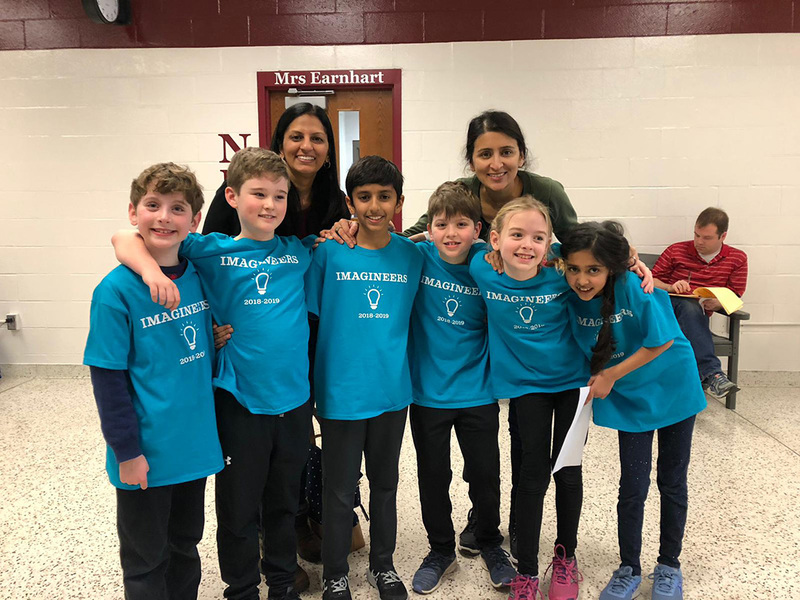 A group of third- and fourth-graders at Towne Meadow Elementary participated in the Destination Imagination Affiliate State Finals March 23 in Fishers. DI is a nonprofit that promotes hands-on learning through challenges that test kids’ creativity, problem-solving and project-management skills. The Imagineers formed in September 2018. Members are Elliott Fingerhut, Caleb Aft, Ravi Patel, Holden Fingerhut, Allison Stogsdill and Navya Shah. The team competed in the March 2 regional academic tournament in the engineering challenge and advanced to the state finals. The team worked for several months to come up with a plan for their structure. They went through about 15 test structures before completing the one used at the tournament. Shah said the team chose the engineering challenge because they’re all interested in building things. “The whole program is based on trying to encourage STEAM — science, technology, engineering, arts and mathematics – with everyday thinking for the kids,” she said. The team name was determined at one of the first meetings. “They chose the engineering challenge and kind of played off of the name Destination Imagination. They put the two together to come up with the Imagineers,” Shah said.